Cars Towing is a leading towing company in Richmond, CA. 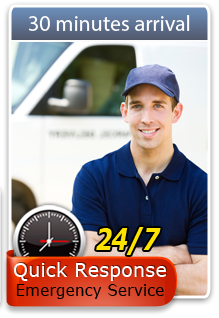 Providing quality and affordable towing services 24/7, it only takes a phone call and several minutes before one of our tow truck drivers reaches a client’s specific location. Our licensed towing company is made up of a team of professionals whose sole purpose is to provide the best towing services possible at prices that any car owner in need of a towing service can afford. In line with this, all our tow truck drivers and roadside assistance specialists are certified experts in their fields and have tons of field experience. They’ve towed different kinds of vehicles and have dealt with all kinds of customers. They value being on time, are honest and transparent about our pricing policy, and know the ins and outs of Richmond, CA including the unfamiliar back roads and detour routes. Our tow truck services are not only affordable, but they’re also available for all types of vehicles, regardless of brand, make, and model—trucks, trailers, minivans, buses, sports cars, electric cars, vintage cars, and even motorcycles. Since we tow using various types of tow trucks (namely flatbeds, wreckers, and tow dollies) we can accommodate virtually any type of automobile, whether new or old. For those who own them, electric cars with different towing specifications are also noted and will be treated with the utmost care. Our toll-free number is open 24 hours a day, 7 days a week. Likewise, our services are also non-stop! We are fully operational even on holidays like the Fourth of July and Thanksgiving. Needless to say, we are always willing to serve the local community of Richmond, CA, and we have a quick response and arrival time. You can call us for additional comments, questions, suggestions, or concerns about our services. To those who have recently availed of our services, we encourage you to give a review or testimonial! If you have friends who’ve also been our clients, tell them to do the same. We’d greatly appreciate the help.